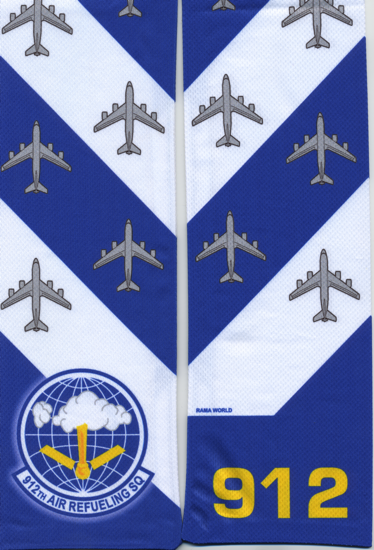 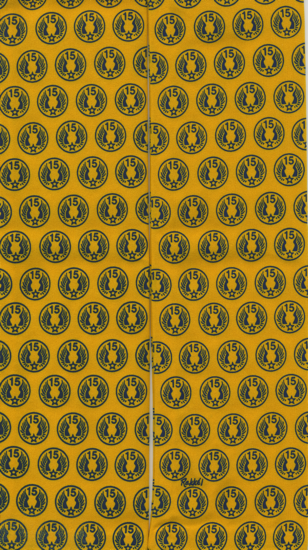 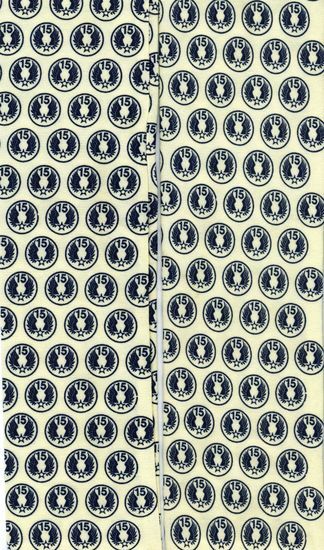 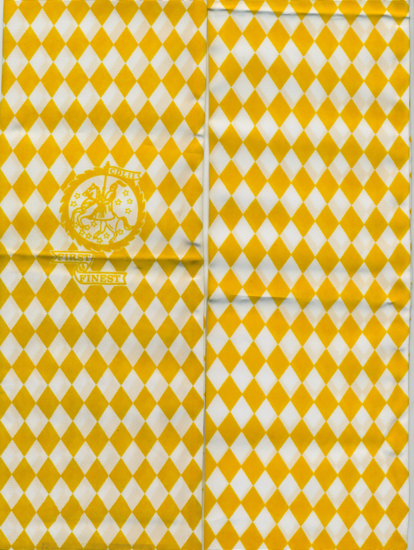 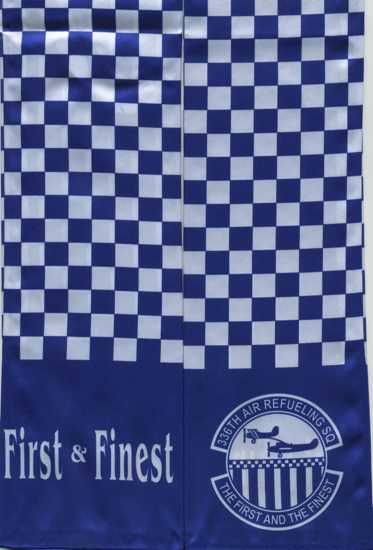 * These were the original design active duty KC-10A scarves used at Barksdale AFB and March AFB. 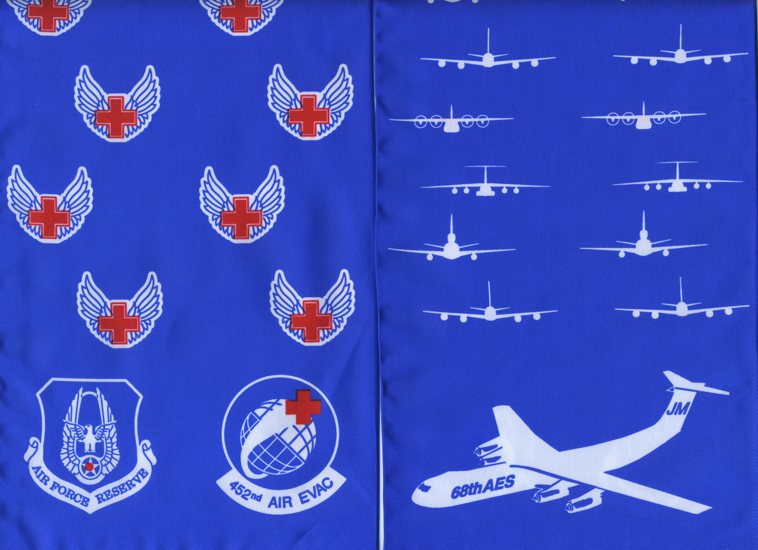 The blue scarf, in particular, was worn by the test unit at Barksdale AFB and issued to the 32nd Air Refueling Squadron when it became the first KC- 10A operational unit. 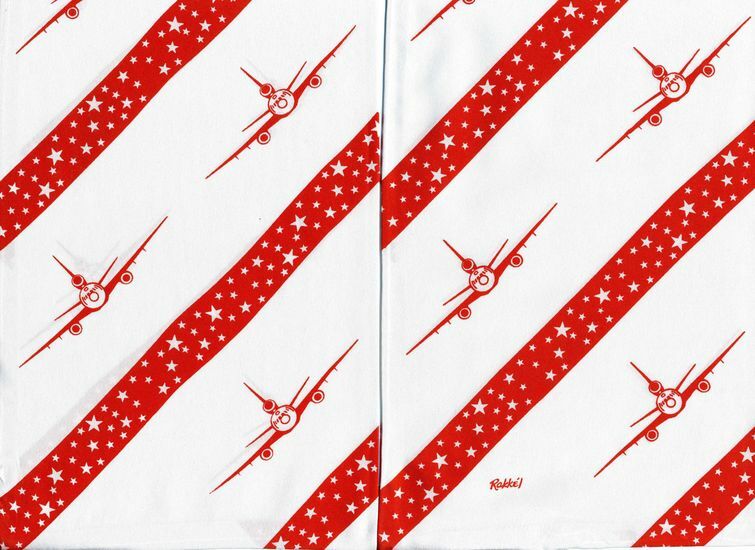 Likewise, the red scarf was issued to the 9th Air Refueling Squadron at March AFB, when it became the second KC-10A operational unit. 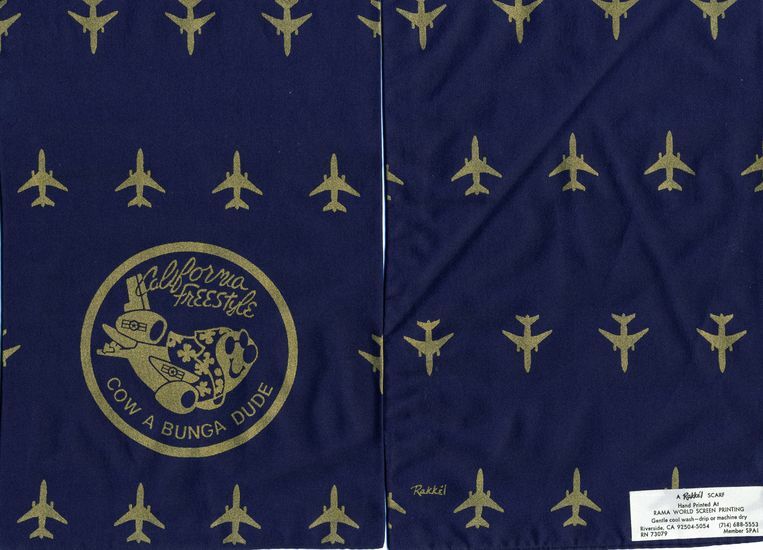 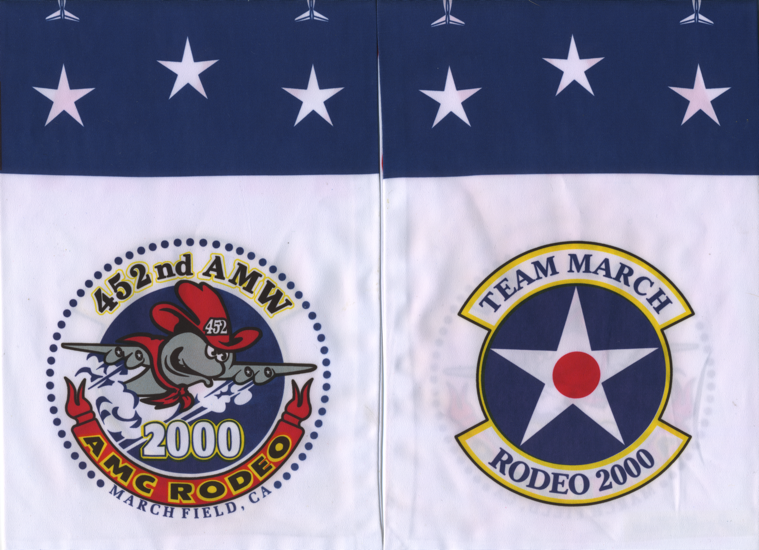 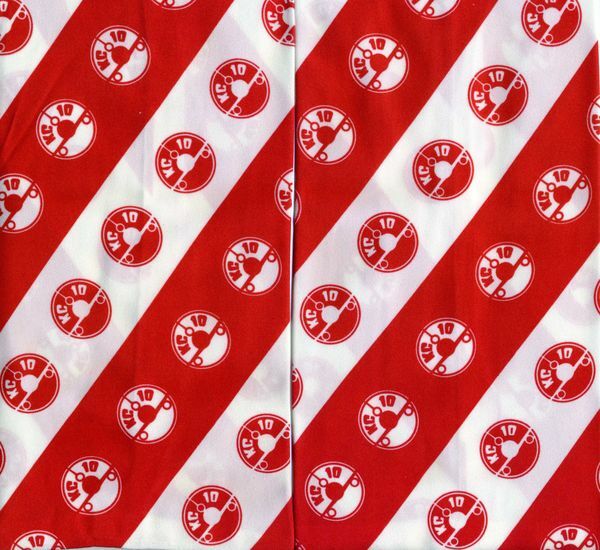 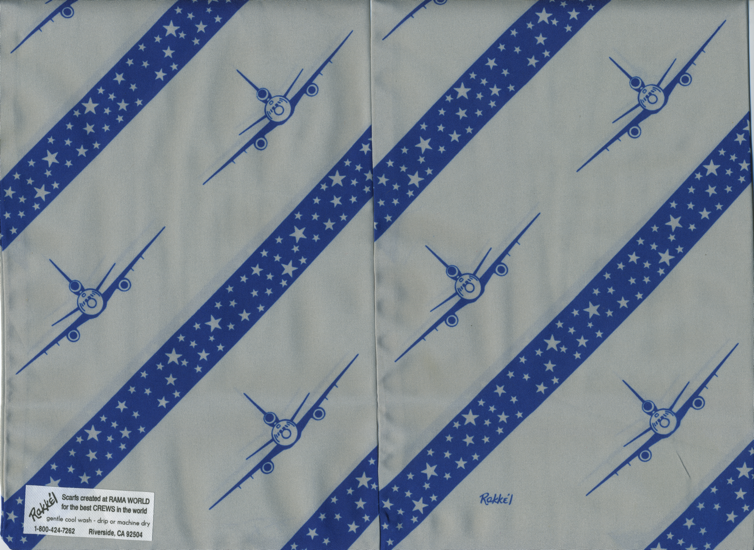 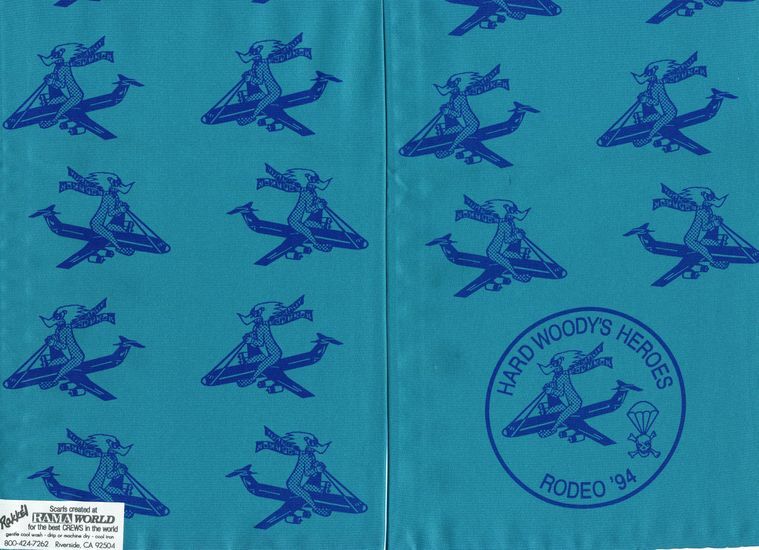 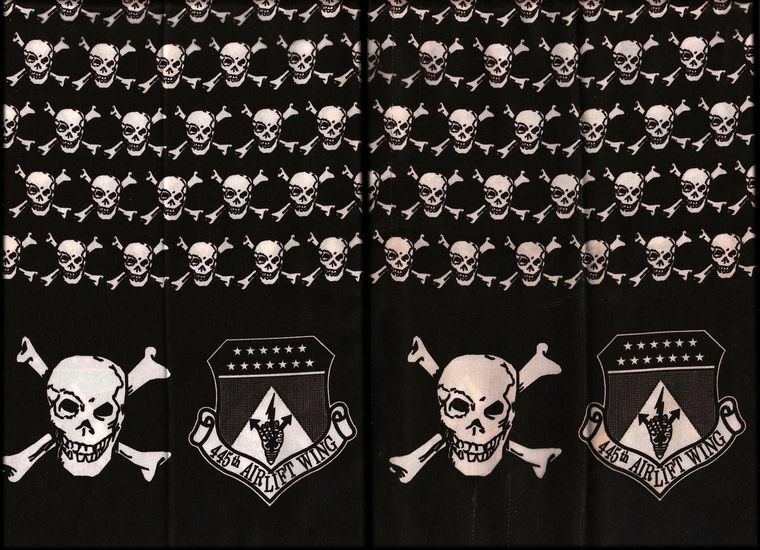 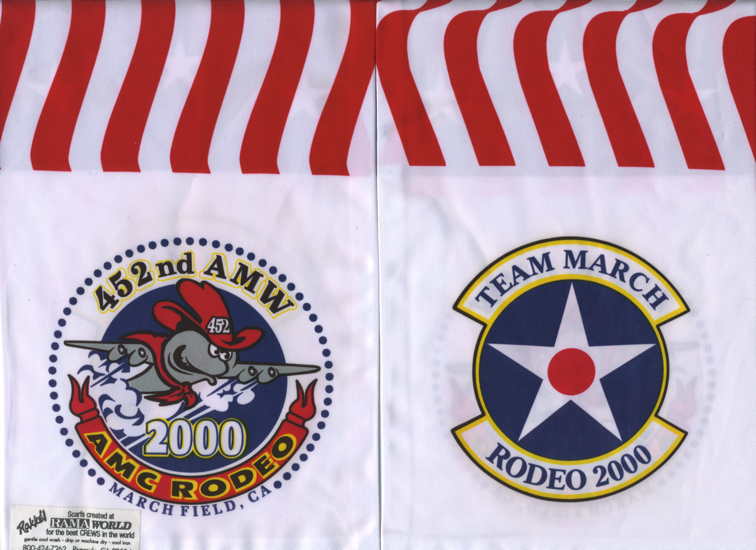 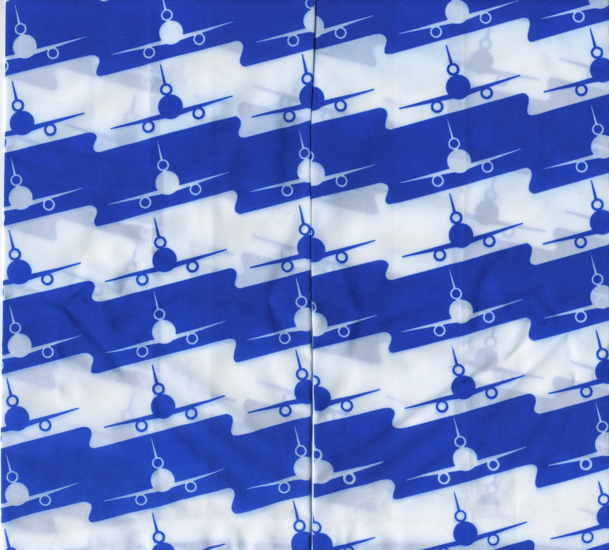 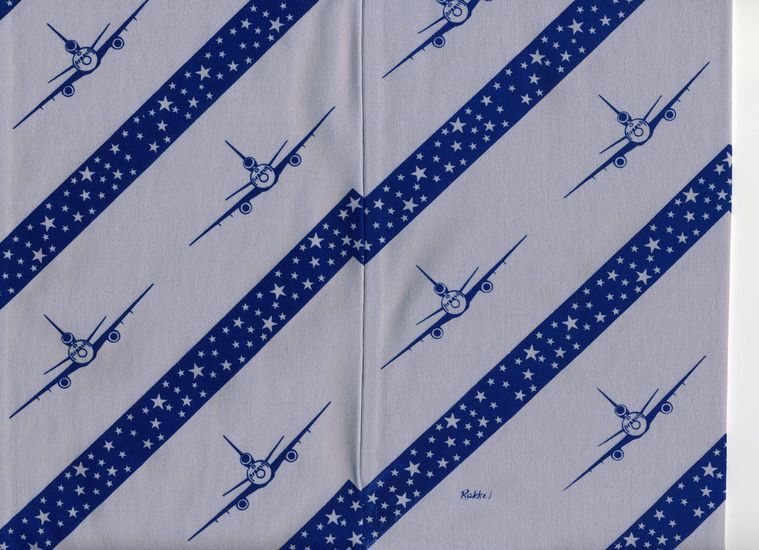 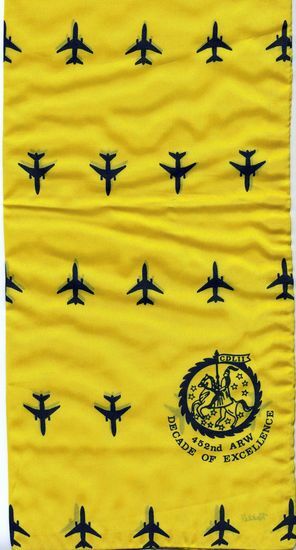 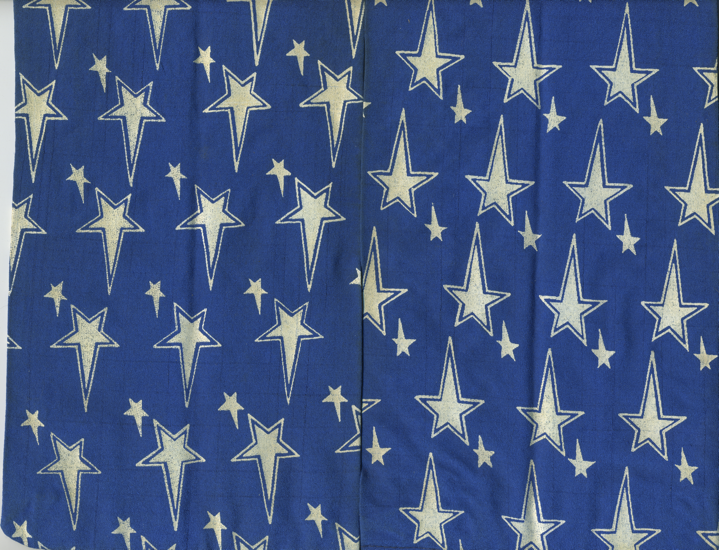 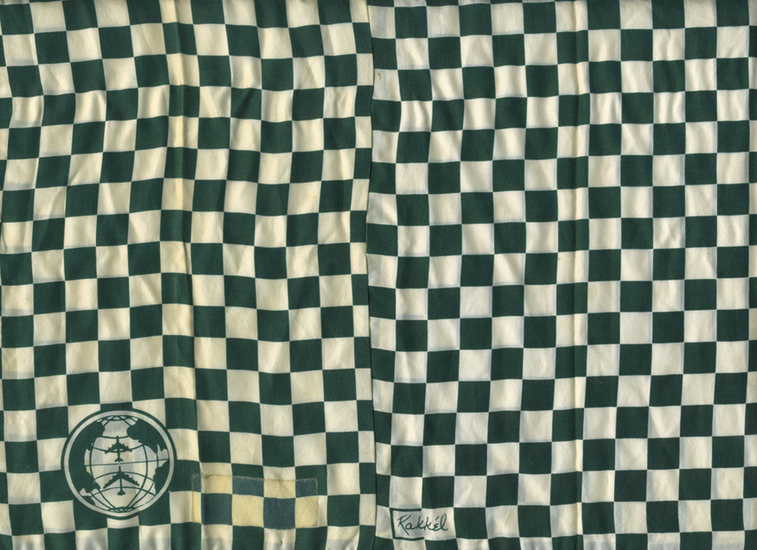 It is believed that these scarves, along with patches, zaps, and pins, were provided to KC-10A unit members by McDonnell Douglas as part of the KC-10A marketing and publicity plan. 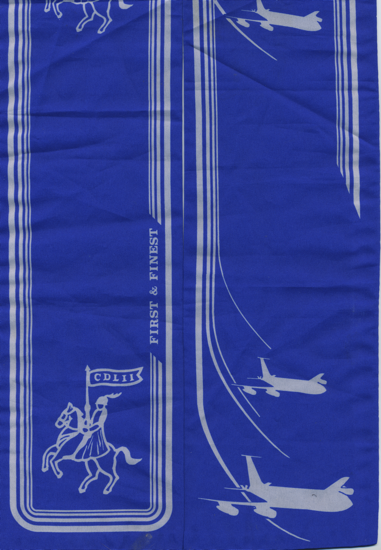 Some colors were also used at more than one base. 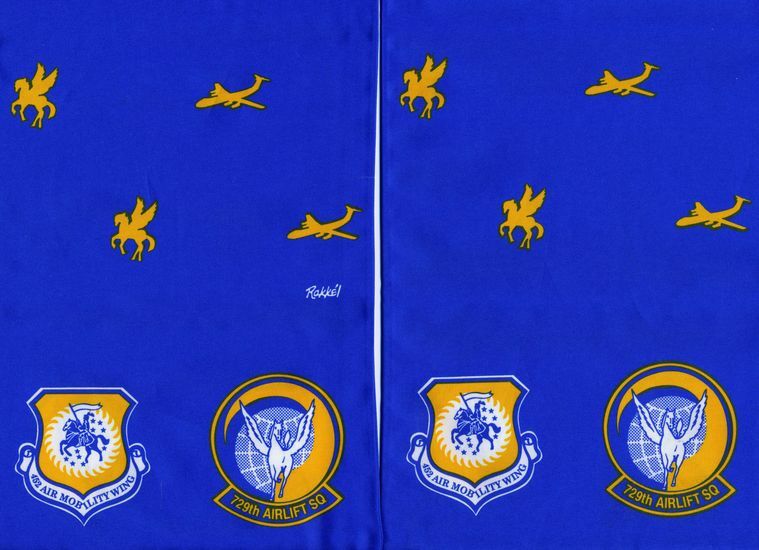 Typically the 9th Air Refueling Squadron (March AFB) and 2nd Air Refueling Squadron (Barksdale AFB) used the red color and 6th Air Refueling Squadron (March AFB) and 32nd Air Refueling Squadron (Barksdale AFB) used blue. 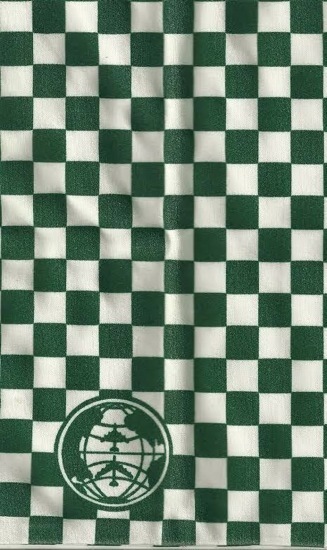 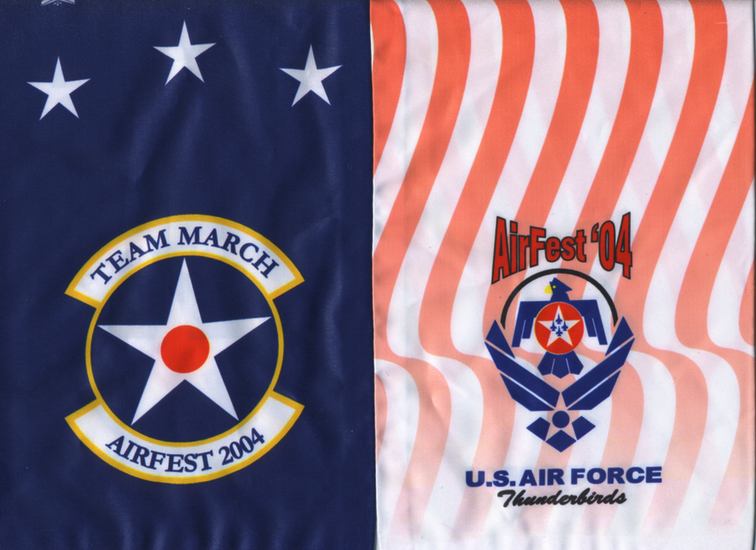 Other colors of this design were used by other units at Seymour-Johnson AFB. 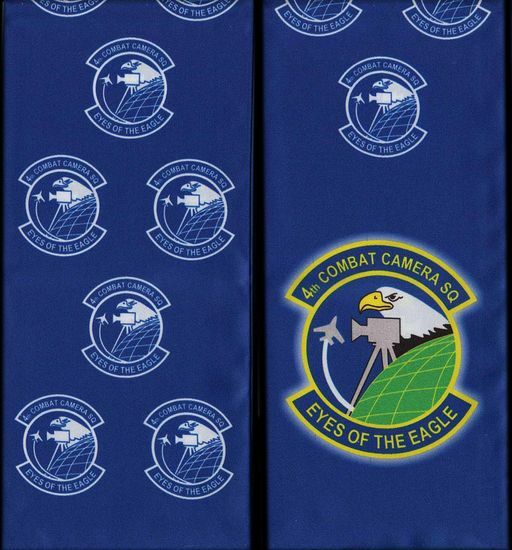 Later the black scarf worn by the 344th Air Refueling Squadron at Seymour-Johnson AFB was worn by wing staff at other bases.